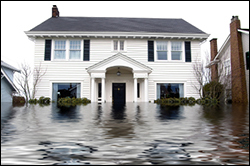 Capital Carpet Cleaning & Dye understands the importance of fast action if you've had the misfortune of a flood or leak causing water damage in your home or business. 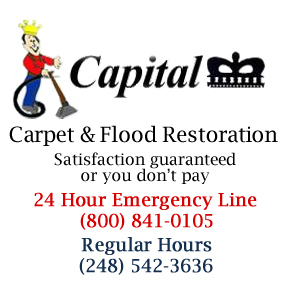 Capital Carpet Cleaning & Dye responds rapidly to emergency water damage situations to minimize the repair cost. We will respond within two hours. The sooner your home or business can be returned to its pre-flood condition the less disrupted your residential or commercial property will be. Using state-of-the-art techniques and equipment, Capital Carpet Cleaning & Dye can remove excess water and dry your structure fast and efficiently. 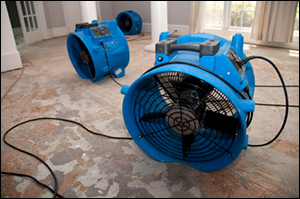 As a full service water damage restoration company we can handle the entire job from top to bottom including water extraction, structural dehumidification, structural repair, personal contents restoration, pack out, deodorizing and final cleanup. Capital Carpet Cleaning & Dye will work with your insurance company to get your home or business back to normal in the shortest possible time. Our emergency response crew is ready on a 24 hour, 7 day a week basis to respond to your crisis. 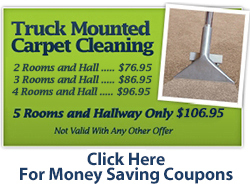 So when disaster strikes, call Capital Carpet Cleaning & Dye.